After a five-day visit, Keystone Resort in Colorado has entered my family’s list of happy places. 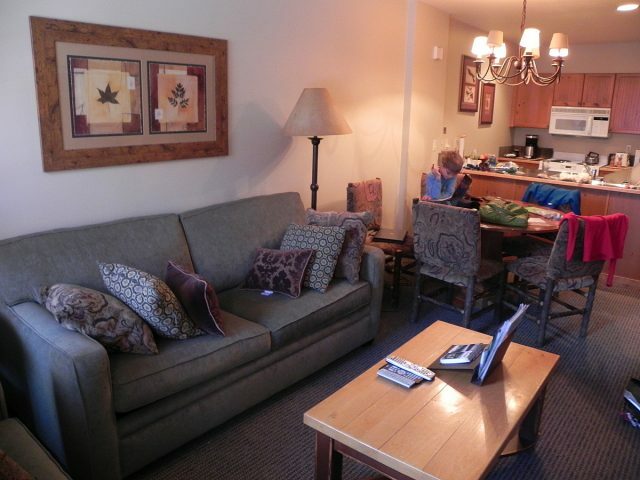 Not only did we have a great time skiing, not only did enjoy the incredible Rocky Mountain views, we loved how much fun it was to stay in this self-contained resort that easily met all of our vacation needs and then some. So what made Keystone such a great place to stay? While we were at Keystone we stayed at The Springs in River Run Village. There was lots to love here, from our two-bedroom, two-bedroom condo, which came fully equipped with just about everything we could possibly need including a well-stocked kitchen and a ski locker in the basement, to the gorgeous lobby with its welcoming fireplace. Of course, the boys loved the pool and two hot tubs best of all (one is designated just for adults, but the other is open to all). There is also an outdoor fire pit, a playroom, a pool table, a movie theatre, an exercise room, and a steam room. Another bonus was that The Springs really couldn’t be more conveniently located, just steps across the parking lot from both the kids River Run Ski School and a gondola that whisks you to the main summit area, from which it’s possible to access the skiing on all three of the Keystone’s mountains. River Run Village and condominiums there (of which The Springs is just one building) aren’t the only lodging options at Keystone – the resort is spread out over a variety of areas and the choices range from hotel rooms to private homes that sleep up to fourteen people. But I do recommend that families consider staying in one of the condos at River Run Village because the village area itself is so perfect for families. There are some great dining options, including a pizza restaurant and a local coffee shop, as well as a grocery and sundry store, several clothing and gear shops (happily including one that stocks bathing suits as I had forgotten to bring any!) and The Snack Shack, far and away the boys’ favorite, which carries just about every sweet treat you can think of from jelly beans to cotton candy. That’s Tommy and Teddy parading through River Run with Riperoo (the resort mascot), many of the ski school staff, and any number of other visiting kids. Lemonade and kettle corn were served afterward at the new Dercum Square Ice Rink. Teddy made lots of new friends and even danced the Macarena. Now that’s my idea of a party! 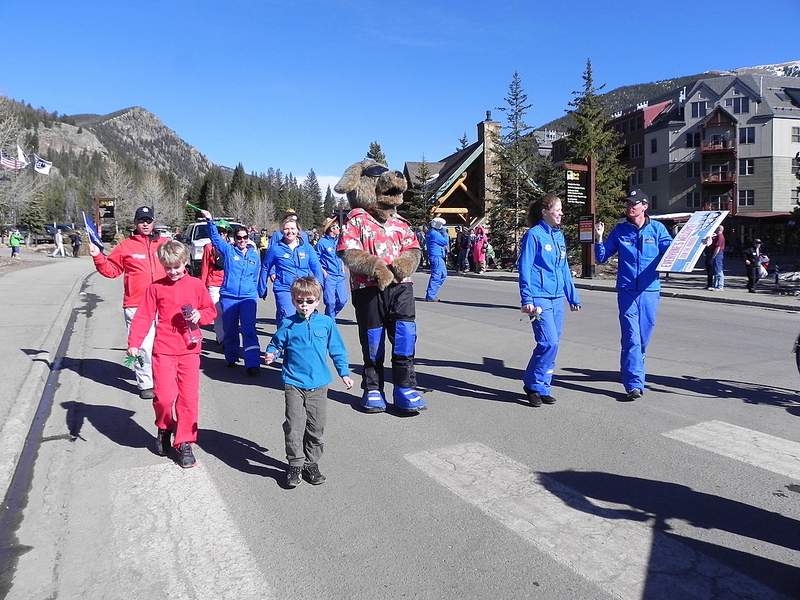 The parade was just one of the many activities aimed at kids of all ages. 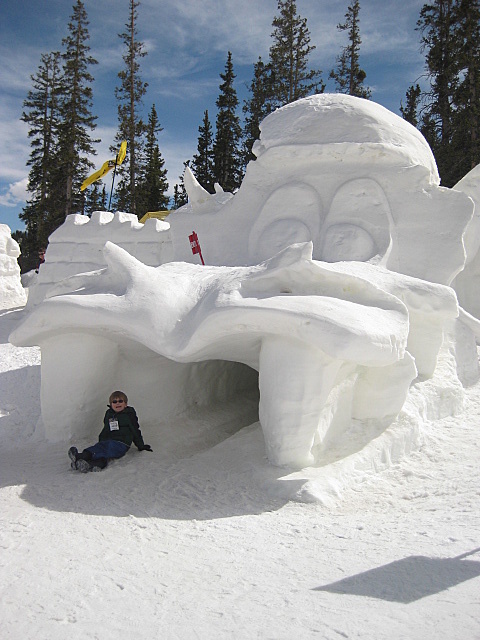 There’s also a ginormous snow fort (Keystone calls “the world’s largest”) up on the mountain near the snow tubing hill that’s pretty much any kid’s dream of winter fun; you don’t have to ski to get to it either as it’s easily accessible from the top of the gondola. With numerous kid-friendly activities available, a really great ski school, and a friendly mascot wandering around, it’s pretty clear that Keystone has families in mind. Oh, and parents: You don’t have to drive but can use the resort’s free shuttles to get around. So go ahead and have that glass of wine with your fondue dinner! Just remember it will affect you more at the high altitude. During Kidtopia weeks, which occur regularly throughout the winter season, you’ll find numerous things for kids to do. In the Kidtopia headquarters (which are located in River Run Village – just steps from our condo) children can make crafts, watch a science or a circus show, or get their faces painted. 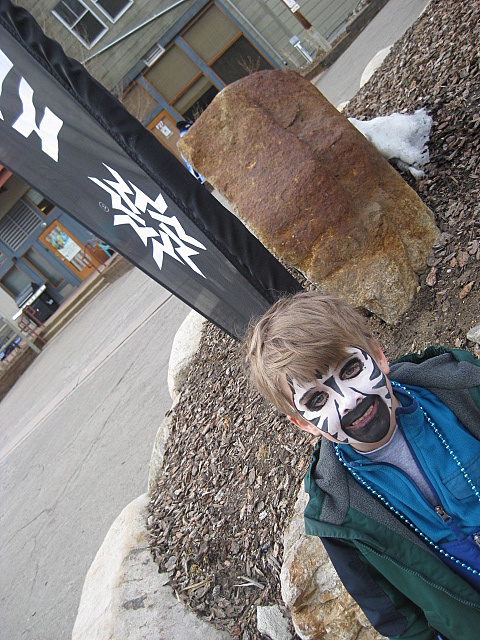 Other Kidtopia activities include free family NASTAR racing up on the mountain (my boys loved this course), nighttime skating and tubing, a Medieval dinner up on the mountain, and even fireworks. 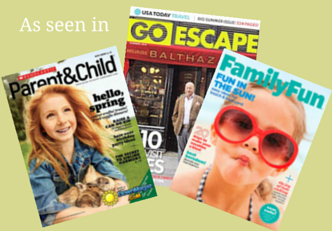 There are definitely more things on offer than you’ll be able to get to, especially if your kids are big skiers. In fact, Tommy said he’d like to return for a longer visit so he could fit more Kidtopia in. I really can’t say enough about the friendly staff at Keystone. From the shuttle drives to the ticket sellers to the greeters who meet you at the base of the mountain with baskets of granola bars and fruit leathers to the lift operators who cheerfully salute all comers with exhortations to have a great day, everyone had a smile on their faces. Even in a chaotic rental shop, which we had the misfortune to enter behind a large and disorganized school group, the employees stayed calm and friendly (and suited me up with a pair of sweet demo skis that I enjoyed very much). Each of us had a different ski instructor who was perfectly matched to our needs. Teddy’s took great care of him, monitoring his altitude sickness and asthma carefully and checking in with me and Matt at lunch to let us know how he was feeling. Tommy’s showed him all three mountains, and my ambitious boy was thrilled to be challenged on black diamond trails. Matt’s teacher helped him learn to turn on the bumps. 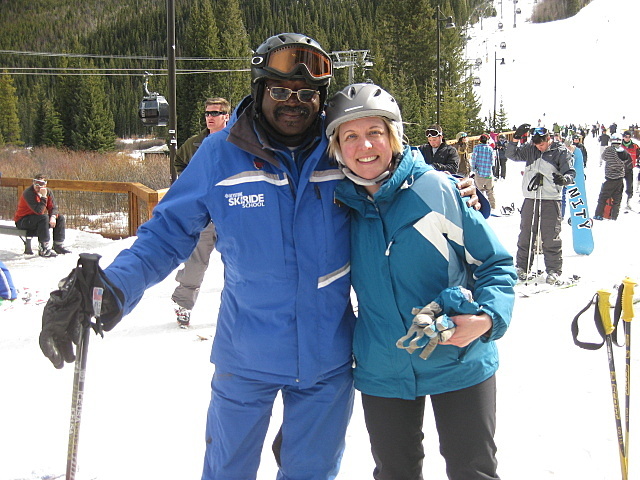 And I had the privilege of skiing with Mack, who has taught at the resort for 36 years, is about as elegant and Zen a skier as you’ll ever meet (“It’s about the journey” and “remember to breathe” were two tips he offered me), and knows the mountain like the back of his hand. I also get the feeling that like other ski areas I love (think Mad River Glen and Smuggler’s Notch) there is a palpable sense of loyalty and history among Keystone employees, as well as a genuine desire to make sure everyone is having a good time. 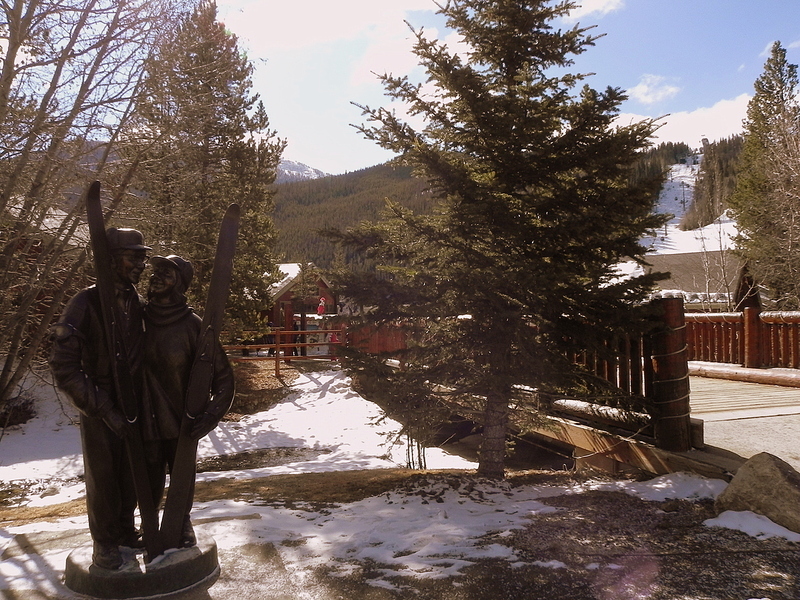 Even the smiling statue of the resort’s founder Max Dercum and his wife Edna seem placed at River Run to remind you that Keystone is all about enjoying the mountains and having fun. The weather was not on our side during our visit to Keystone – it had warmed up to the point that we were unable to ice skate, snow shoe, or cross-country ski. But under normal winter conditions, all three things would have been options. Our downhill skiing was somewhat limited as well – I had hoped to try some of the resort’s cat skiing, but it was also closed for the season by the time we arrived. However, we did enjoy three fantastic full days of downhill skiing and even though we were limited to groomed trails, I loved the long, steep runs and could tell that there is a huge variety of skiing (including some great stuff in the trees) for all ability levels. Got a daredevil in your family? The resort also features a huge terrain park that intrigued Tommy no end, although we didn’t try it. Other fun winter activities include snow tubing and dinner sleigh (or wagon) ride, so you really won’t be at a loss for things to do, no matter what the weather. In warmer months, Keystone offers plenty for active families to do as well – much of that great terrain can be accessed on mountain bikes, and the lake turns from a skating rink to a place to paddle boat or kayak. There’s a bungee trampoline, a climbing wall, as well as hiking, canoeing, and rafting in the surrounding area. You can even visit the tubing hill, which the resort keeps open as long as it can. 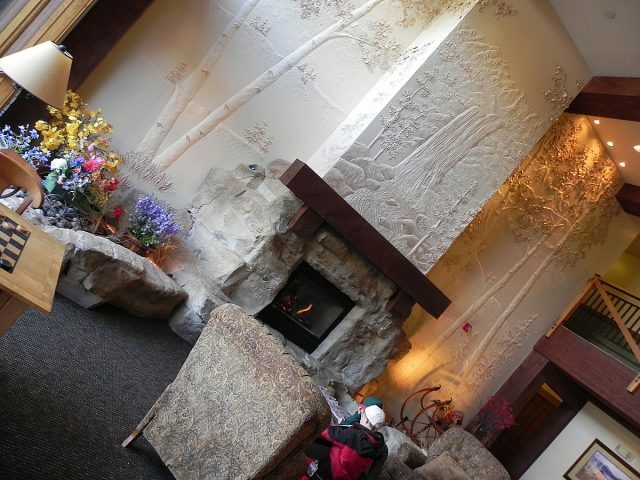 And did I mention that there’s a full-service spa at Keystone? I ended a day of skiing with an hour-long massage that was pure bliss. A really nice feature here is that any spa treatment comes with the use of the gorgeous relaxation room, where you can lounge by a fire while reading a magazine and snacking on grapes, trail mix, and cucumber scented water. 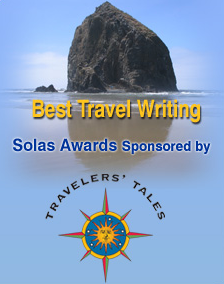 It’s a luxurious treat for any vacationing parent, and I highly recommend you avail yourself of it. 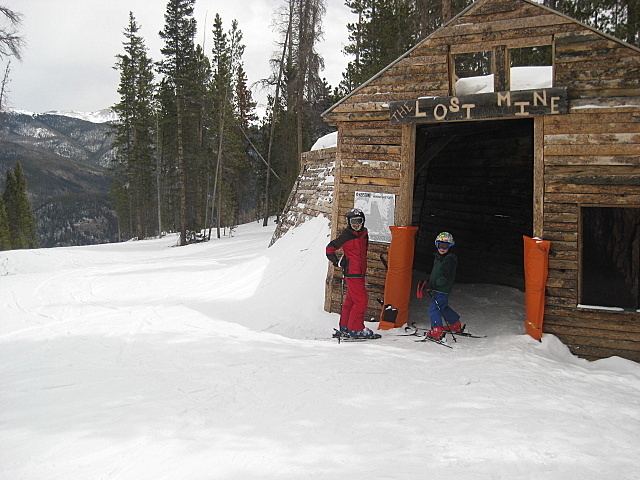 And here’s a bonus sixth thing that makes Keystone a great place for families to visit: It’s easy to get to and get around. The drive from Denver International Airport is under two hours. Don’t want to drive yourself? Take the Colorado Mountain Express Shuttle (which leaves right from the baggage claim area) and you’ll have free wi-fi during the ride and a friendly driver who can give you tips about the area – all for under $300 round trip for a family of four. Once you’re at Keystone, you don’t need a car, as there are shuttles that run regularly to every part of the resort and even a free county bus system that will take you to the nearest grocery store. The winter season is winding down at Keystone this week, but I would definitely recommend you consider it a destination for a late spring, summer, or fall family visit. You won’t be disappointed. Many thanks to Vail Resorts and Keystone for covering much of the expense of our trip, including our shuttle ride, lodging, lift tickets, and rental equipment. You can always count on me to let you know when I’ve gotten something for free – and also to honestly share my opinions. For more information on visiting Keystone with kids, check out my other posts. Keystone linked to this page on Facebook, and lo and behold it’s about Teddy! It was an absolute pleasure skiing with him over St. Patrick’s day weekend. I look forward to skiing with him again soon! Enjoy your summer!! Matt- Teddy so enjoyed skiing with you and still talks about how much fun it was! I definitely hope that we get a chance to see you next winter. The ginormous snow fort looks awesome! It looks like your family had a great time. 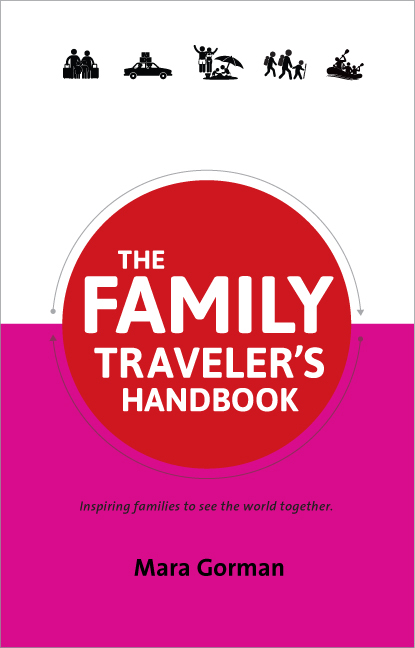 Wishing you many more ‘family’ travel adventures. Yes that fort is pretty much the stuff that childhood dreams are made of. I totally agree! Before I got in to travel planning as a career, Keystone is where my family always took trips to. I can remember seeing them do the professional night skiing where they hold the torches. It definitely leaves a long lasting impression!